From Birmingham: Take 1-65 South to Exit 242 Pelham/ Helena. Turn left at the top of the ramp onto Highway 52 East. Turn right on Huntley Parkway. The Grand Reserve will be on the hill on your left. From Montgomery: Take 1-65 North to Exit 242 Pelham/ Helena. Turn right at the top of the ramp onto Highway 52 East. Turn right on Huntley Parkway. 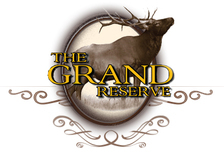 The Grand Reserve will be on the hill on your left.